Maybe Mulbah and her children came from the Buduburam Refugee Camp in Ghana. 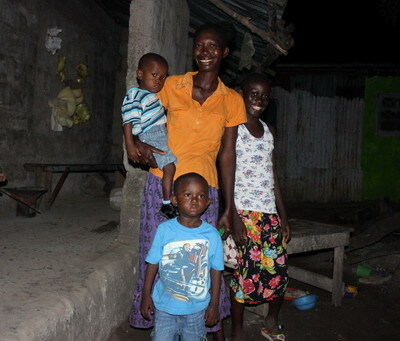 Life in Liberia has not been easy for them, but a step up from the camp. Provision of Hope has been funding her children to school and assisting them with food every month. At times they have been sick and have needed medical treatment. The next step now is to empower Maybe with a micro business so she can start to sustain herself. Just today the landlord informed them that they need to vacate their room. This means they need to find a place to live, as soon as possible! We are hoping she can find a place for $ 30 per month, which will be $ 360 for the whole year. Landlords in Liberia, ask for the whole year to be paid upfront. Provision of Hope rents many rooms for single mothers and others in extreme poverty, until they can manage for themselves. If anyone would like to donate towards their rent, or towards Maybe’s micro business, we would really appreciate this. These people can make it once they are empowered! We usually start them off at $ 300. Maybe is holding her two yr. old son Philemon. Janet, her daughter is in Gr. 5 and Silas just started Preschool in March. When Silas was 2 yrs. old he almost died in the refugee camp. 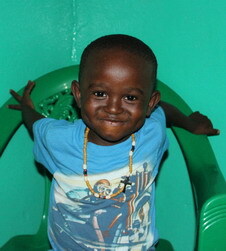 He was so sick when Provision of Hope in Ghana took him to the hospital. He could not even stand on his own he was too weak. They literally saved his life! You can see how malnourished he is in these photos. Today he is a very healthy and energetic little boy. We are always reaching out to help CHILDREN AT RISK. Click here if you would like to donate for this family.